Ever Wonder Why We Have A Universe At All? This is a question that William Lane Craig often asks whenever he debates an atheist on the question Does God Exist? Do you ever wonder this yourself? My guess is that, like me, you probably don’t. We take the universe for granted. It’s only been in the last 100 years that scientists have had to face the hard facts that the universe actually had a beginning, and that the beginning of the universe originated from nothing. You might be surprised to hear how gut-wrenching a discovery this was to leading scientists of the day. Einstein was irritated by it. Arthur Eddington (astrophysicist) found it repugnant. Robert Jastrow (astronomer, physicist and cosmologist) found it distasteful to his scientific mind. Because a universe with a beginning requires someone or something to begin it. The beginning point was nicknamed The Big Bang. As Greg Koukl has quipped: “It seems to me that a ‘Big Bang’ requires a ‘Big Banger’.” A universe with a beginning suggests an all-powerful entity created it. The fact that we have a universe at all is powerful evidence for God. Up until the about middle of the last century, scientists thought that the universe was eternal. An eternal universe did not require a cause to bring it into existence. 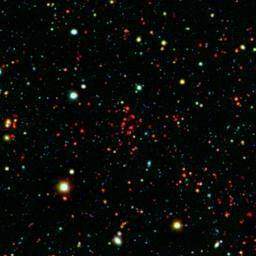 Cosmic background radiation, the ‘afterglow’ of the Big Bang, was discovered. This is the remnant heat that was generated from the sudden and violent beginning of the universe. Applying the second law of thermodynamics to nuclear fusion inside stars: the fact that there is still useable energy anywhere in the universe is a sign that the universe has not been around forever. Consider this illustration put forth by William Lane Craig: When you are away from home, do you ever worry that an alligator will pop into existence out of nothing and chew up your living room couch? Because things that begin to exist (things that didn’t exist before) don’t pop into existence from nothing. If something begins to exist, it had a cause – something or someone created it because we don’t get something from nothing. If something or someone created the universe, He/It had to be outside of time and space, extremely powerful and self-sufficient. Sound similar to the God of the Bible? See all this summarized very briefly in a great video by Reasonable Faith (William Lane Craig) that I learned about through Wintery Knight and Natasha Crain. You now have a very basic overview of the evidence for some sort of an intelligent, supreme being creating the universe. Who is the Big Banger? If you would like more rigorous information on these lines of evidence, read this post by Wintery Knight. If you are interested in how an atheist tries to explain these points but sidestep the need for a Big Banger to start off the universe, check out this explanation by William Lane Craig on Wintery Knight’s blog. ← How Do We Find The Fingerprints of God?